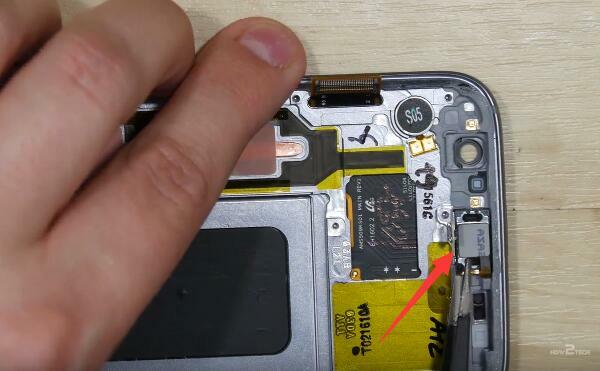 This Galaxy S7 LCD assembly does NOT include the frame or front housing adhesive. This Galaxy S7 LCD and digitizer assembly is a brand new original replacement. 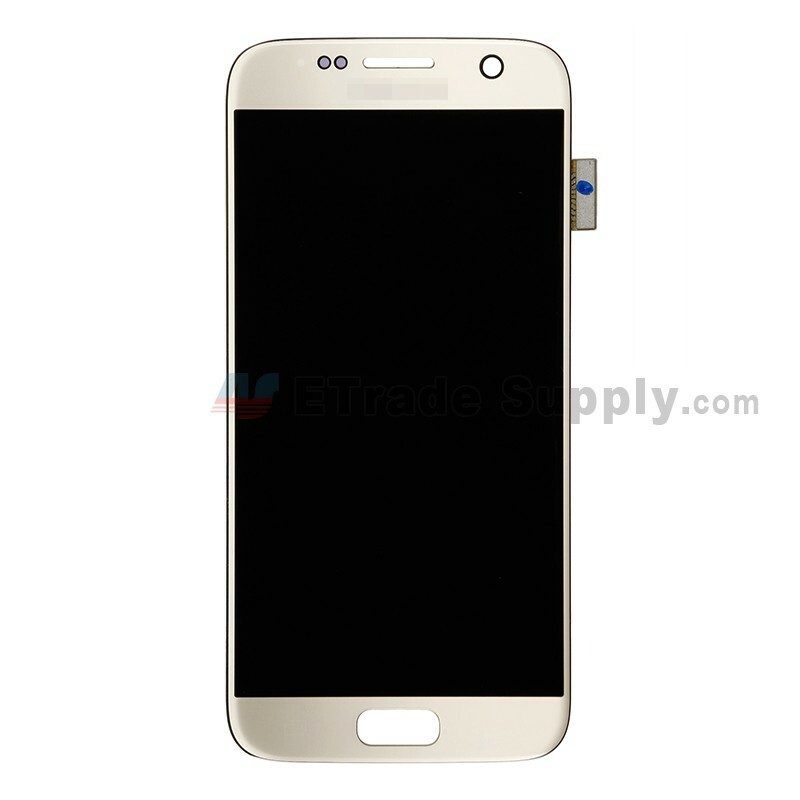 The Galaxy S7 LCD assembly is available in differnt colors and versions, this is the gold one branded with logo. This screen replacement is compatible with all Samsung Galaxy S7 models. 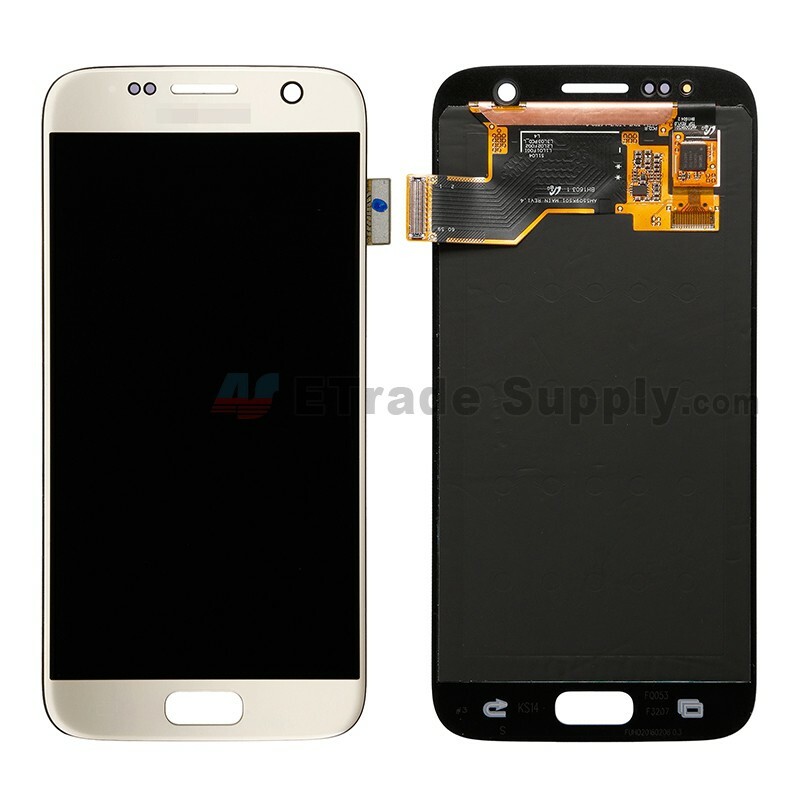 Special repairing tools are required for assembling or disassembling, as the Galaxy S7 LCD display and digitizer are hermetically attached. 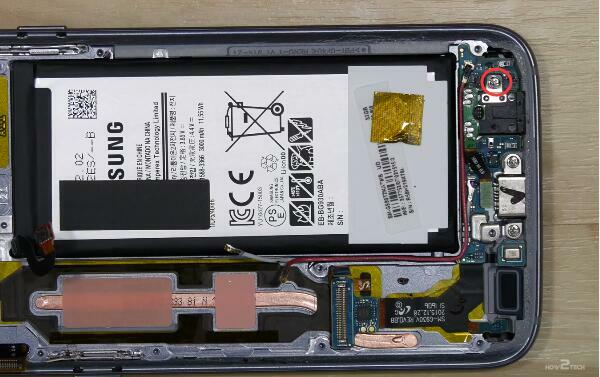 The waterproof function will lose once the Galaxy S7 LCD assembly was replaced. 1. 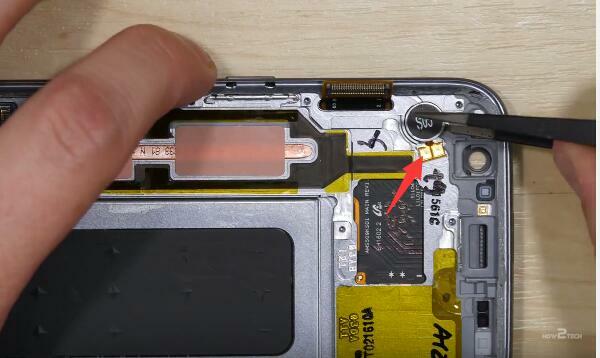 Power off the device and remove the Galaxy S7 SIM card tray. 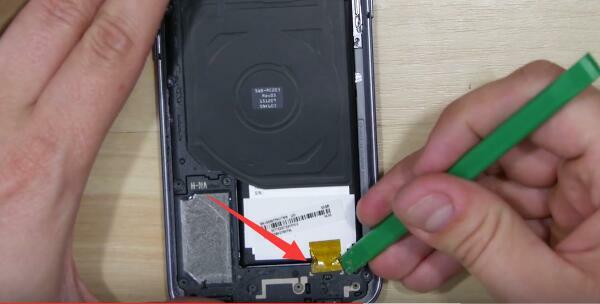 Once you remove the SIM card tray, you'll find it's wearing a waterproof adhesive. 2. 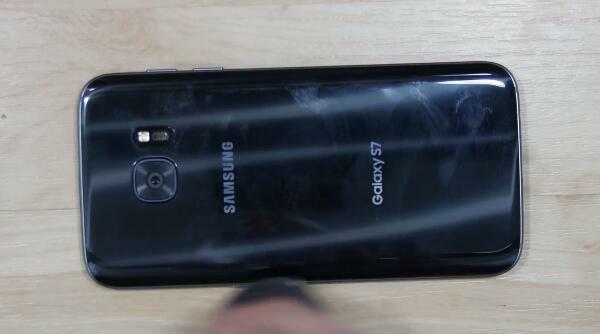 Remove the Galaxy S7 back cover. Heat up along the sides of Galaxy S7 for 1~2 minutes, the back cover is glued to the rear housing with waterproof adhesive, which is pretty sticky. 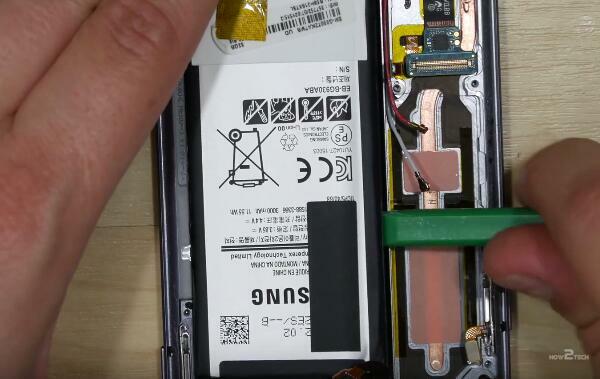 Pay your patience on this step and make sure the Galaxy S7 back cover adhesive is nicely warm and loosen. 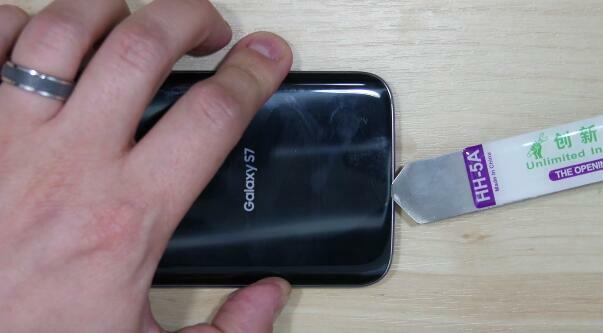 Insert the spudger tip into the back cover and carefully raise it up so as not to damage the fragile glass, stick a plain card in and walk it around, then insert a guitar pick and run it along the edges of Galaxy S7 back cover. 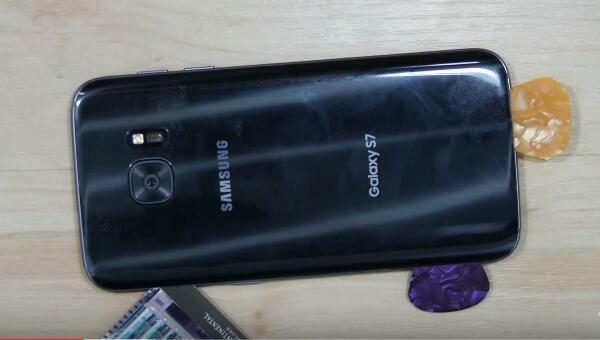 The adhesive is easily cooled down, you'll need to heat it up back and forth before releasing the back cover. Likewise, be patient. 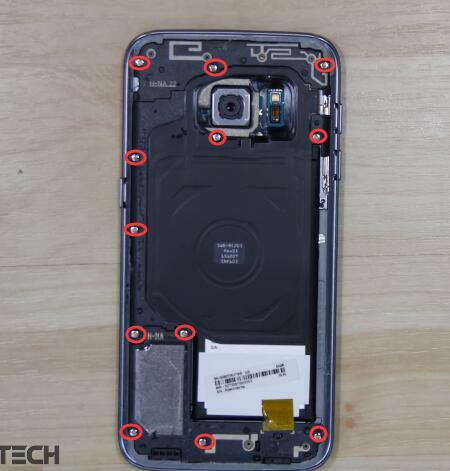 Now the Galaxy S7 back cover was pulled out from a large portion of strong adhesive as you can see from the below picture, also avoid to hurt the fingerprint sensor in the middle of rear housing while you're heating. 3. 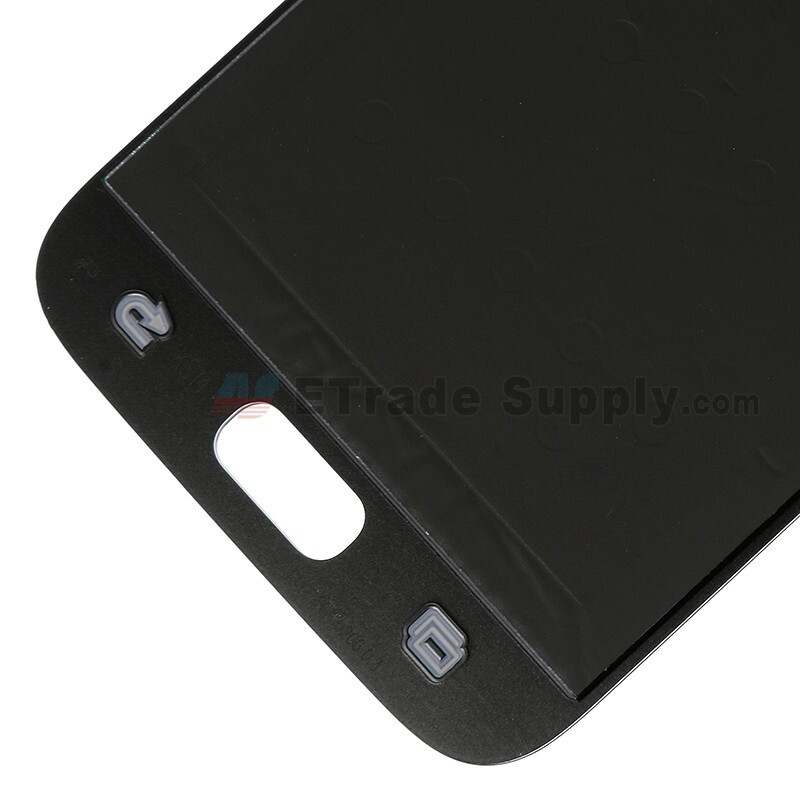 Release the Galaxy S7 rear housing set. 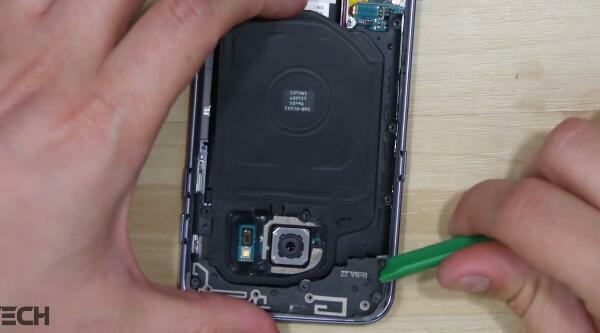 Undo the 12 screws in the rear housing. The screws are in the same size, no worries to mix them up. Use a pair of tweezers to pick up the screws if they're still stuck in the holes. 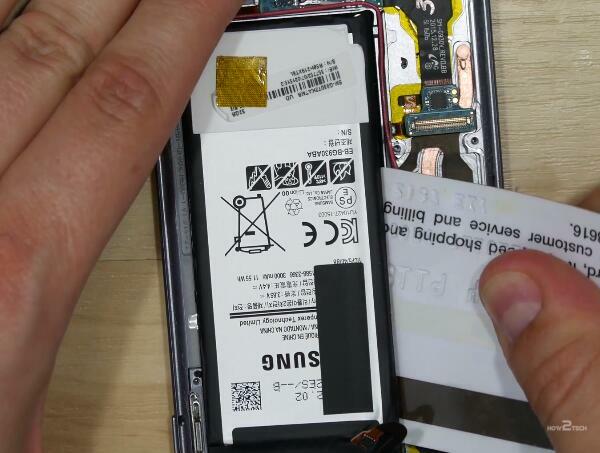 Peel off the yellow tape and then remove the Galaxy S7 loudspeaker assembly. 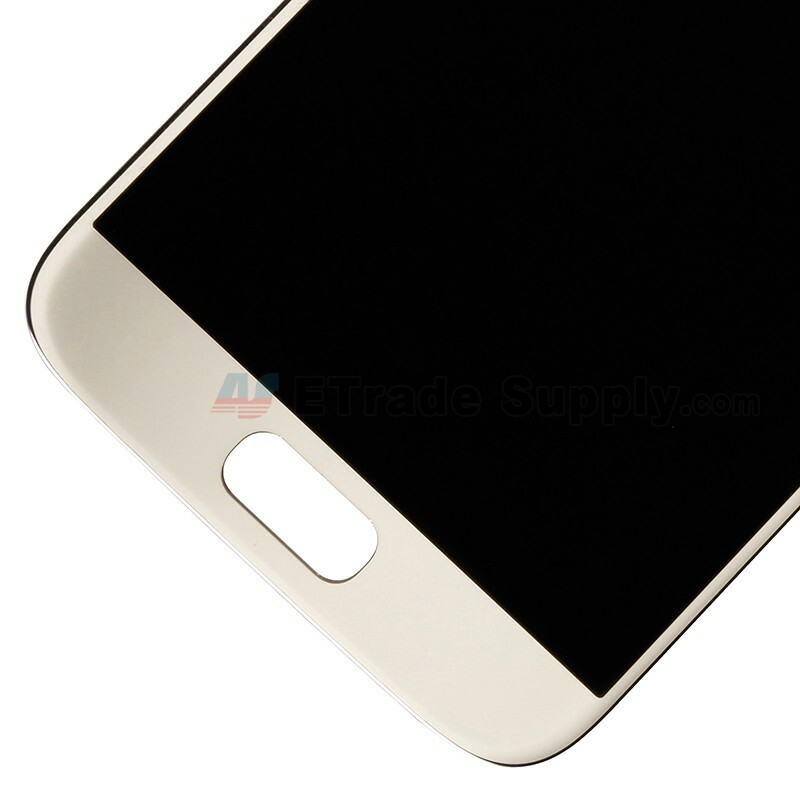 Remove the Galaxy S7 top cover. 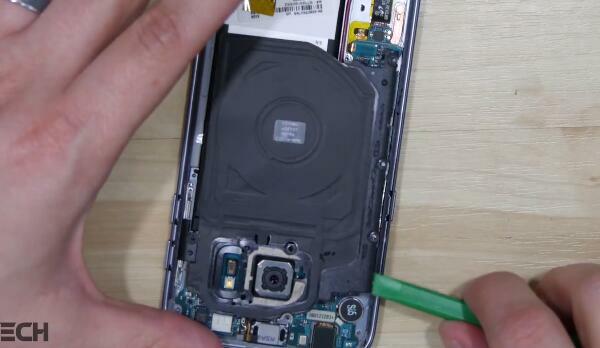 Remove the Galaxy S7 wireless charging chip, be careful not to damage this vulnerable part. 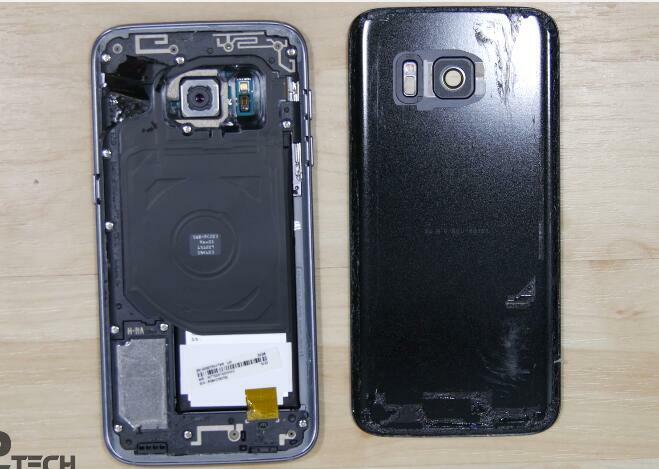 Now the Galaxy S7 rear housing set was disassembled. 4. 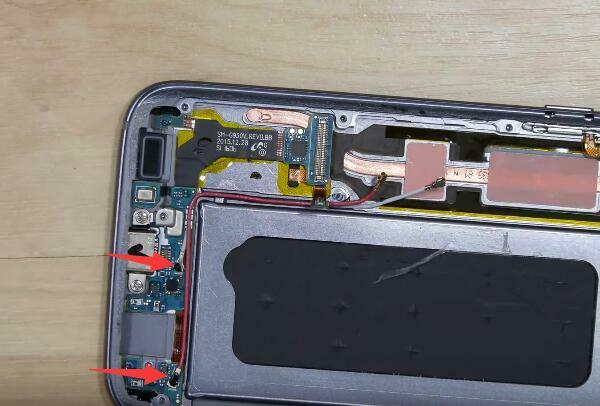 Pry up the connectors shown in below to release the Galaxy S7 motherboard. The connetors include: 3 antenna cable connectors, volume button flex connector, power button flex connector, home button flex connector, front facing camera connector, rear facing camera connector, LCD assembly connector, battery flex connector and ear speaker flex connector. 5. 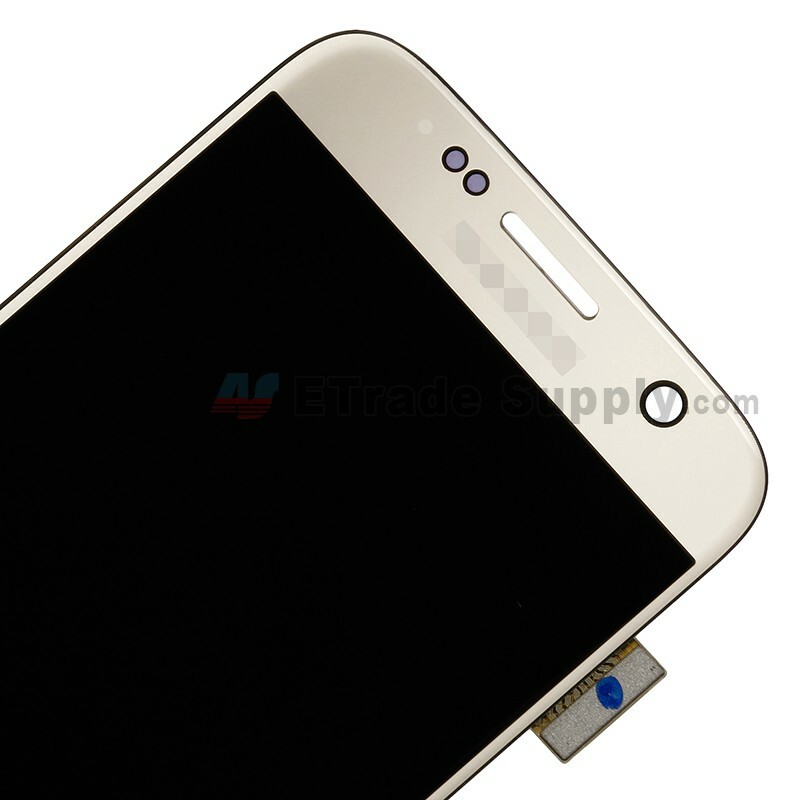 Remove the Galaxy S7 earphone jack. Undo the screw that holding the earphone jack in place. Pry up to release the earphone jack. 6. Release the Galaxy S7 battery. Wedge the metal spudger under the battery and pry it back and forth, you may also need a plastic plain card and a plastic spudger to help to remove the battery. 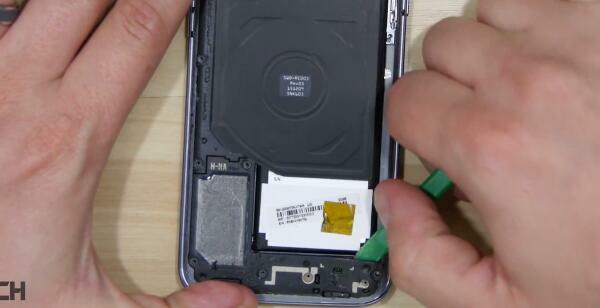 The battery is glued to the front housing with strong adhesive in square, that's why the battery is stucking so well. 7. Pry up to release the two Galaxy S7 RF signal cables. 8. 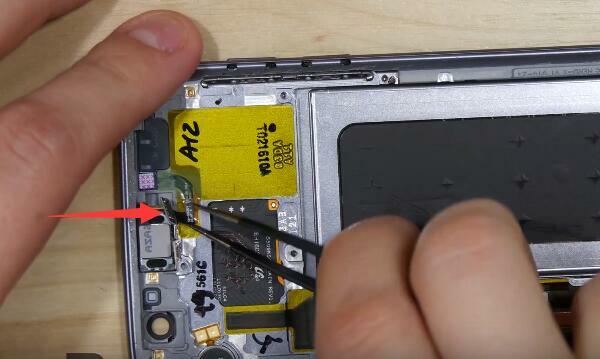 Remove the Galaxy S7 side key flex cable ribbons. 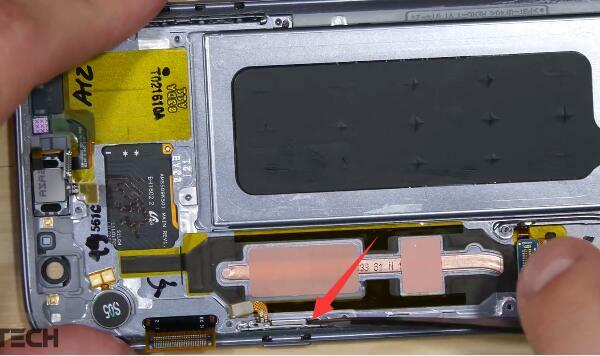 Push the tweezers on the cornor as shown in below picture and pull out the Galaxy S7 volume button flex cable ribbon. 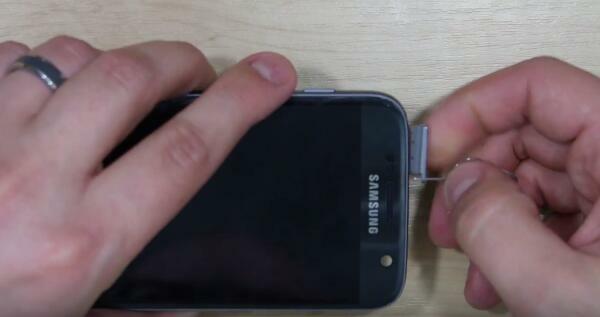 And use the same method to release the Galaxy S7 power button flex cable ribbon. 9. 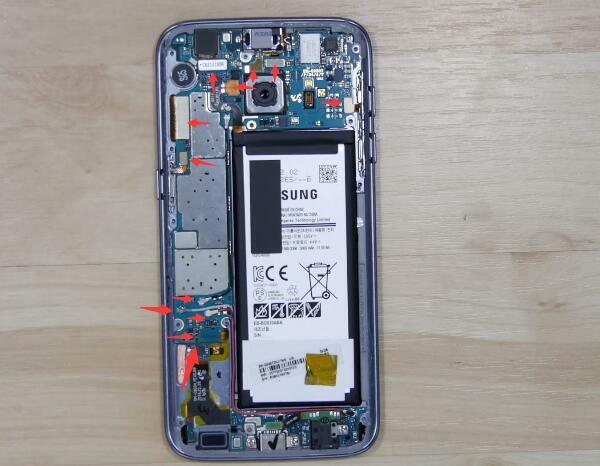 Remove the small components in the Galaxy S7 front housing. 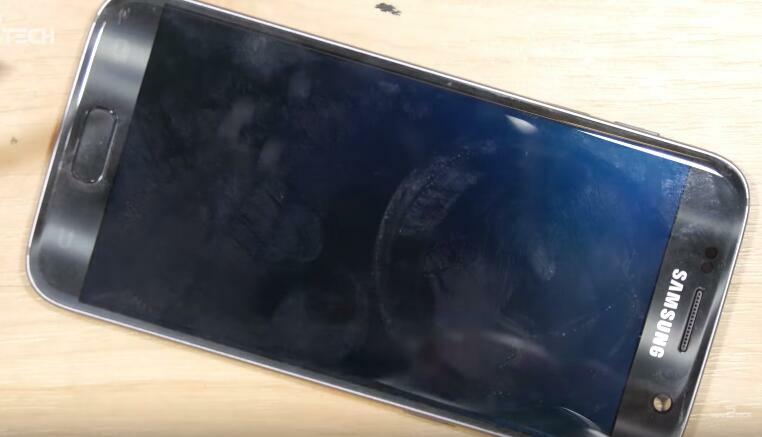 Pull up to release the Galaxy S7 proximity sensor module, where you can see the water damage indicator sticker. Now, pry up to release the Galaxy S7 ear speaker, which is also stuck with waterproof adhesive. 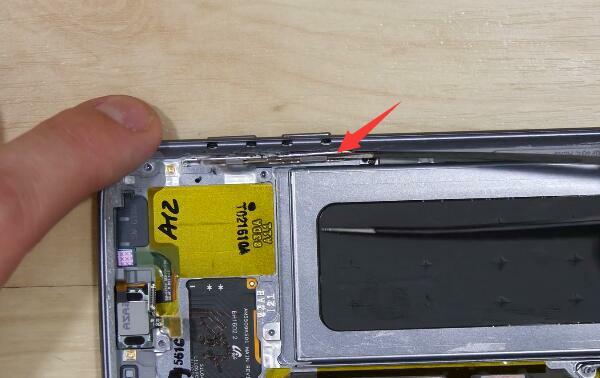 And there goes the Galaxy S7 vibrating motor. 10. 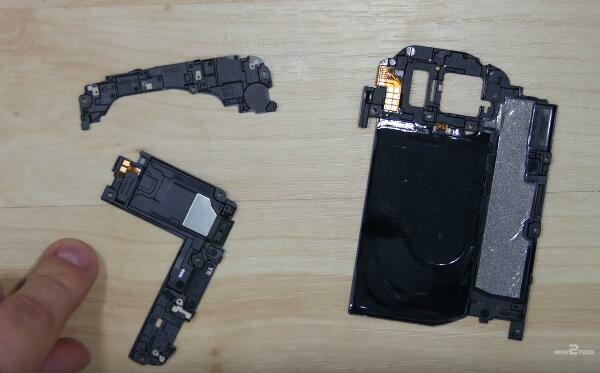 Separate the LCD assembly from front housing. Heat up around the edges of Galaxy S7 LCD assembly back and forth to soften the front housing adhesive underneath. 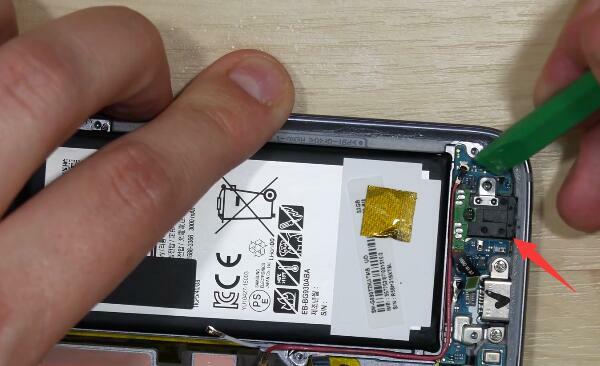 Pay your patience, the Galaxy S7 LCD assembly and frame are bonded by extremely sticky waterproof adhesive so as to make it IP68 protected. 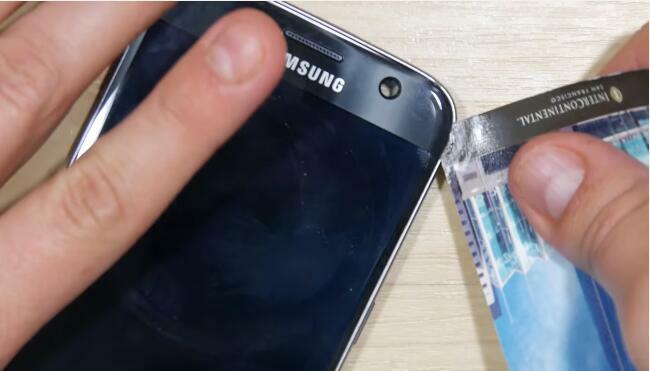 The waterproofness of Galaxy S7 will lost once the screen was replaced unless you apply the adhesive as sealed as the original manufacturer made, which is almost impossible to realize. Wear a pair of gloves to avoid your hands being hurt by the hot display. 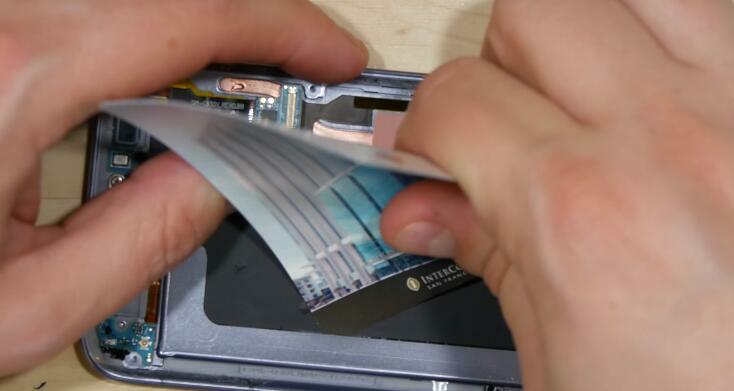 Carefully insert the tip of a plain card into the gap between LCD assembly and frame, run it back and forth to weaken the adhesive. You can also heat up and insert a plain card on the opposite side to release the nicely sticky adhesive. 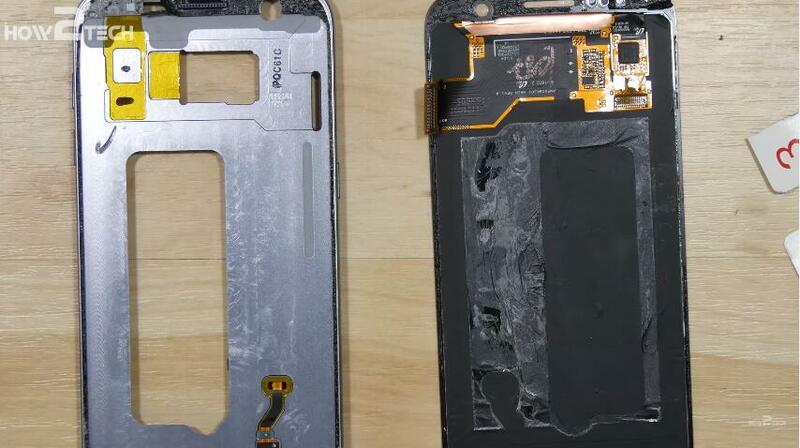 Now the Galaxy S7 LCD assembly and frame are successfully separated. Looks like it's so easy, isn't it? I'm afraid not, tedious maybe more appropriate. Anyway, get your patience and chariness prepared. Wishing you a happy shopping.